On 30 May the U-17 players engaged in the penultimate doubleheader of U-17 League matches, hosting the regional champion Palas Levice. 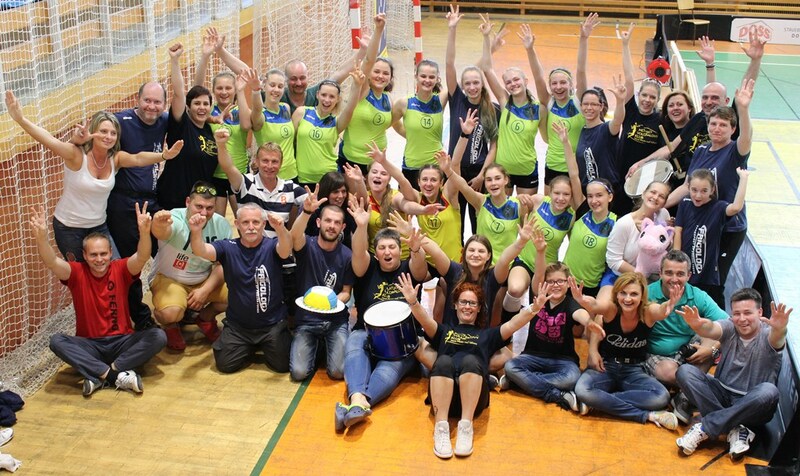 As we had secured our spot at the National Championships by the victory in the previous week, we could afford to let the older girls go to the preparatory match in Senica and thus give more space to the young ones. We didn’t expect to win, but we regretted the low amount of points we gained in each set. 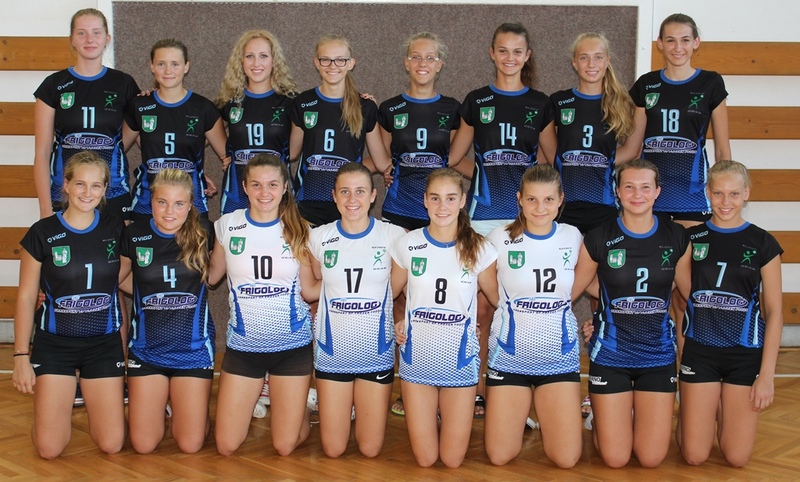 MVK Frigolog : Palas VK Levice 1:3 (-16, -10, 21, -15); 1:3 (-8, -15, 23, -6). Against our opponent from Levice we could line-up the younger girls that will play in this competition in the next season. Even though we didn’t need to win, girls fought for the nomination to the U-19 squad for the National Championships. Levice clearly showed us why they top the standings of the western region… they played tough, dynamically and had an excellent service. Right from the beginning we failed to concentrate, get going and enjoy the game. Despite the bad reception that troubled us in both matches, we fought bracely in the first set. But after that the match was in the direction of our opponents and they didn’t let us to play our game. There was a twist in the 3rd set of each game, as the trainer of Levice gave a chance to the players from the bench. We were evenly matched against these players and the game was very dramatic. We made a good reception and after that it was easy: a fine assist by Zuzky Pappovej, attack by our hitters and quick play by our blockers ensured our win in the 3rd set. We still make many personal errors. For instance, our best blocker tends to hide under the net and sometimes doesn’t manage to step back in time. Also the cooperation in the field is lacking, our serve ends in the net, the assistant fails to get to her place in time or makes a blunder, but that is due to the inexperience and the lack of in-game practice. But we have to praise the girls for the 3rd set of each game. As I already mentioned, in the last sets we failed miserably in passing the ball, but we have to mention the best player of today’s doubleheader Timea Adamčíková, who played the hitter. She showed great fighting spirit and self-sacrifice in the field, evaded errors when serving and her kills always hit the mark. We hope she will continue to perform in the same manner. Thanks to this performance, however, she gained the nomination for the U-19 Slovak National Championships. Girls will get one more opportunity to gain a nomination the next Sunday (7. 5. 2016) in Nové Zámky.